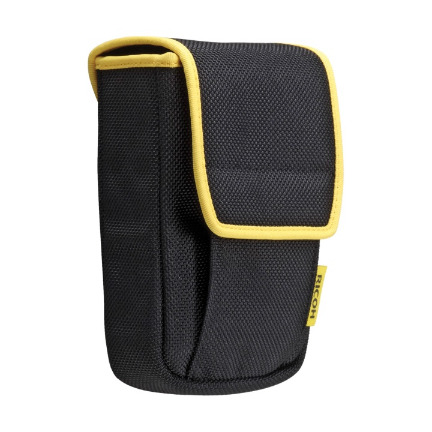 The black with yellow trim Ricoh SC-700 Soft Case for the G700 camera is a soft nylon case that offers reliable protection for your digital camera. It comes with a convenient belt loop that lets you use your camera hands-free without worrying about where the case is. This quick-access case is secured by a touch fastener flap.